Home > Sapa trekking tips > Trekking in Sapa becomes easier than ever! For those who have been in Vietnam, or haven’t but heard about this beautiful country, they must have heard about Sapa as the must-not-miss destination, as well as one of the top places recommended visiting in Vietnam. 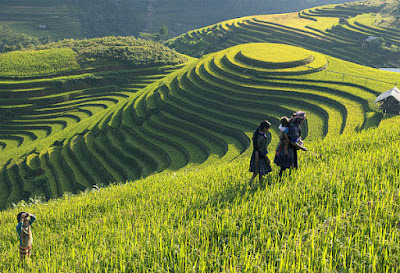 Especially for the travelers who love adventures, desire in natural-based activities, Sapa is an ideal place due to the fact that this is one of the most scenic regions in Northern Vietnam with spectacular landscapes of rice terraces, sweeping mountains, wild forests and villages of various ethnic minorities. Sapa was the final stop of my 1-month Vietnam travel itinerary, and what a way to finish an incredible month of travel across the length of the country. It was incredibly picturesque, the cool mountain air was refreshing, and it was just great to be out exploring nature. There are a lot of choices for trekking in Sapa. You can enjoy half-day hikes, full-day hikes and even several days spending for experiencing the hillside. In case you would like to spend more than one day wandering around the spot to discover its beauty and gorgeousness, you are recommended to hire a well-knowledgeable guide to be your companion who is familiar with the local tracks, changes in weather, terrain, and the best lookout spots in the destination. Once Sapa has emerged as one of the most attractive tourist destinations of the country, you can easily seek for any tourism services including guides. Hence, Most of travel agents will provide you with a good guide. Especially in Sapa, there has been homestay model in which travelers will live with local families for authentic experiences of the local living, your host can also play as your guide who is enthusiastic and expert in local topography. In addition, most of local guides in Sapa are good at English giving you no worries about communication. 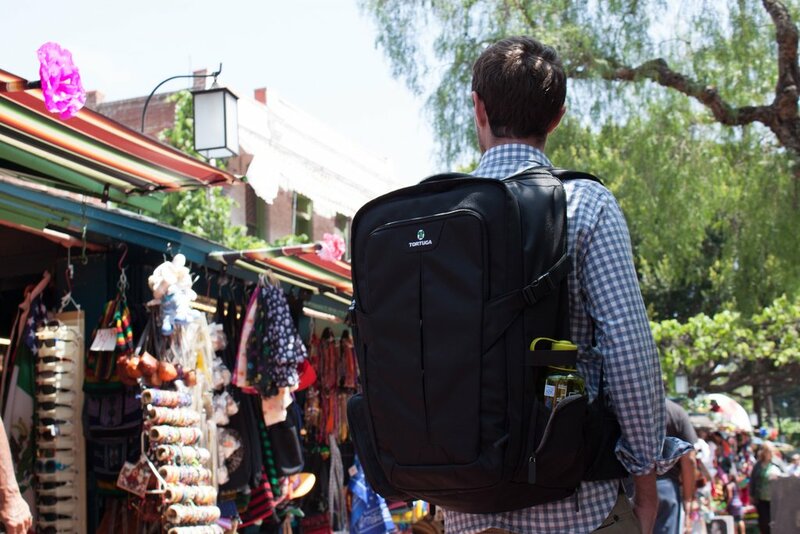 Simplifying your belongings as many as possible is the second advice for your trekking in Sapa. Since this destination is full of self-run accommodations like homestays, there are always amenities available on the way if you need stop spots with open space, mattresses and mosquito net, clean bed sheets, warm blankets, and fresh towels. It is no need for you to pack heavy with sleeping bags or bulky luggage of all daily stuff you often bring along on other trips. Besides, your guide will only be your guide, means that he would not act as a porter carrying the bags for you. Hence, keep in mind that you only bring what are deemed absolutely necessary for you. The pack may not feel heavy when you first try it out of the door, but it can turn to be big problem in the day progress. We will not call it “trekking” if the roads are easy to go like going jogging. Indeed, you would pass on tough roads, have times when you have to scramble up the mountain on all fours, hopping over ditches, come across forests full of branches and even thorns. As a result, good footwear is definitely demanding. You are suggested to buy sturdy running shoes with good support and solid grip. You are also recommended to consider hiking boots for trip of more than 2 days, think Mount Fansipan. It may sound oddly, but a pair of flip-flop can also be something to consider for your trekking trip. Imagine after a long day, maybe two days of instantly walking, your feet must be tired and need to wiggle and breathe. Hence, giving them spacious rooms at the end of the hike would be well appreciated. However, it is strongly recommended that you should not attempt to have your whole trekking with flip flops if you do not want your feet end up with blisters and sprained ankles. Bring double, even triple the amount of water that you insist being in your need. It is obvious that you will be very thirsty in a long trip walking through tough roads, even more like a camel guzzling for water in the desert. It is terrifying if you still have few hours of walking, but just realize you’ve drunk the last drop of your water. There actually are some stands selling water as you get closer to the town, so be released that you will merely dying thirst before you get some. Once Sapa has become famous destination of tourism in Vietnam attracting a large deal of travelers, following consequences can be seen. One of the most seen affections of this is touting as serious business of local residents, especially women. If you have spent few times being in Sapa, you’ll notice that touting is very commonplace in this destination. Right at the time you got to the town, you will be surrounded by local women walking alongside with you. Even though you make it clear that you have no intention to buy any souvenirs, they will make things start friendly by asking questions and practicing English. After a while, it will turn to be a bit aggressive with their sales pitch. Everyone knows that those residents have to make it for their living, but a little preparation is necessary for not having culture shock when you come to Sapa for trekking. 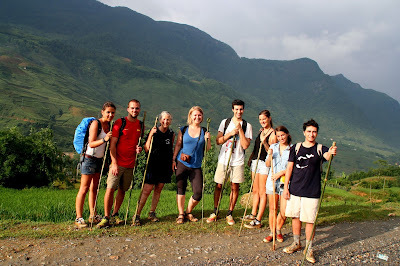 We are honour to provide you with some reliable Sapa trekking tours that might help you on the way to Sapa.